What are all the links you send me for? The URLs we provided are Branded and Unbranded. Branded URLs contain your logo are good for social media sites such as Facebook and Twitter. Unbranded URLs do not contain your logo are used for the MSL and sites such as Zillow and Redfin. Each MSL service is different, some could allow branding. Check with your local MLS for any restrictions. 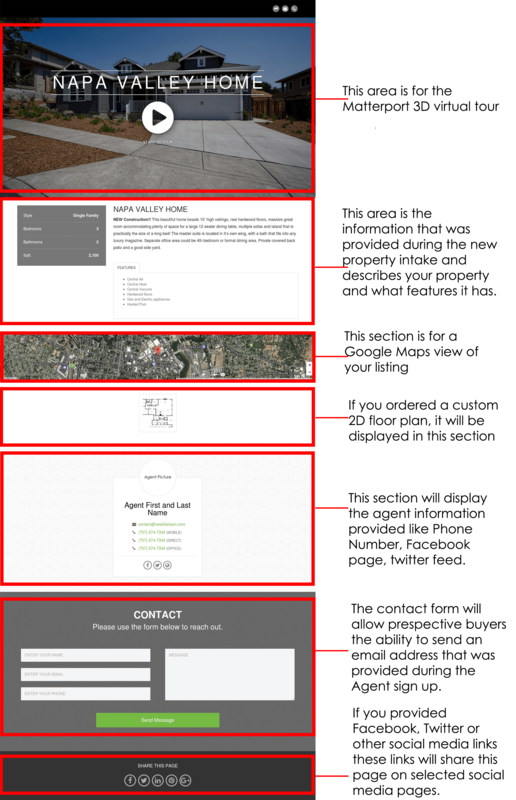 The Standard Single Property Webs ite (Skinned View) link is your single property webpage listing. This page has the Matterport 3D tour and the property information you submitted to us with the new property intake form that you completed during the intake process. Click here for a live example or see the image here a of a Standard Single Property Website. ← How do I use Matterport?